It was back at the beginning of the month when we first broke for you the news of a new, massive vulnerability, plaguing 99% of Android devices. First discovered by mobile security company Bluebox, the flaw was reported to Google back in February. Since then, Google has patched the Play Store and has provided its OEM partners with a patch for it. Yet here we are again. And now it's official – the first detected malware taking advantage of the vulnerability has been intercepted by Symantec whilst running amok in China. The security giant reports that the code has been implanted in otherwise legit apps that help you find and appoint a meeting with a doctor. The source of the infected app? A third-party store, of course. We won't get into the tech lingo, instead we'll just report that according to Symantec, the exploit grants said malicious code remote access to infected devices. This leaves the gates wide open, the company claims, for a wrongdoer to steal sensitive information such as your IMEI, phone number, and also send premium SMS messages and execute root commands. This goes without saying at this point – steer away from third-party stores, at least for the time being. Avoid sideloading apps. The Google Play Store is there for you. A number of apps have been specifically developed to counter the vulnerability. Bluebox, which first discovered the vulnerability, has a free app which will scan your device and determine whether your device has been properly patched, verify if you have successfully disallowed apps from unknown sources and also look into your apps for malicious code. Norton Mobile Security is an alternative. So far, only Samsung is known to be shipping devices with the vulnerability patched. Regardless, even if you have a fairly new Samsung device we still urge you to at least run one of the two solutions on the previous slide, just to be on the safe side. If you're running a custom ROM, now would be a great time to check back with its creator. 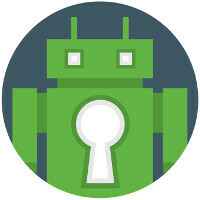 Popular custom ROMs like CyanogenMod have patched their latest version and are considered safe. Finally, if you're running the default Android that came with your device and the scanner shows you're under threat, then consider using ReKey. This small app will temporarily patch the current vulnerability as you await an official patch from your manufacturer/custom ROM. Note: root is required, and you shouldn't uninstall the app – it needs to run the patch every time you reboot your device. Obviously – not a perfect solution, besides, not everyone is rooted. Regardless, it is still better than nothing. Bluebox is reportedly working on recognizing ReKey's patch (it currently shows that it cannot verify it, but it's working, don't worry). I don't think you understand the benefits of open source and how android isn't exactly as open as many people believe it to be. The infected got it from going to a third party store, like most people who get these type of viruses. Also viruses and malware are present on (almost?) every platform, it's not Android specific. Just use common sense and scan the things you dl before you install if you getting them from third party sources. Norton Mobile Security is a huge battery drain as it has to run all the time. It nearly halved my battery life. If you jailbreak your WP and install 3rd party apps, and malware is still a possibility. Most of critics about "blah blah blah Android malware" intent to ignore to say clearly (for misleading many people) that the risk only comes from 3rd party apps (mostly pirate apps), and no problem with Google Play application. If you install pirate app on Windows, the same problem. Haters gonna hate in silly way. WP8 uses an NT based kernel, and the new code isn't anything like what runs on older WP7.x devices. Thus it has not been proven to have been jail-broken. Why do you think the older Lumia 900 can't run WP8 apps? Duh!!! Every OS is prone to problems. EVERY OS. Any safety or peace of mind afforded to you by switching to Windows Phone is due entirely to it's limited market share. It's simply not a tempting target - not enough payoff for the work involved. IF Windows Phone ever gains significant market share it too will become the target of hackers. WP does not suffer from the same security flaws as Android: it's not just due to the OS being less popular, but also because Microsoft maintains strict control over the native code. Google gives everything away for free, hence the concept "open source". Lol..you want to trust MS? A company that is a proven spy. Microsoft OS gets hacked on a daily basis. networkdood, why don't you show us some legitimate proof that WP8.x has been hacked? Go ahead... Also, Google gives away personal information to the government just as willingly as Microsoft. You are naive if you truly believe that Google is morally and ethically superior! There's no jailbreaking for WP8, and such claims to the contrary are false and misleading. Step-1 # Buy a galaxy s4, 2 # get cyanogen mode 3 # buy the metal back cover by Ginovo From ebay the best combo ever...its the only android device that is safe of this malware.yeah,samsung knox security system makes it safe.if u dnt believe read the prev article of phonearena abt "Android Vulnerability"
Simple solution: buy a GSM dumbphone, be happy with a battery that lasts a week on intense use, a phone that isn't vulnerable (for the simple fact that it can't be updated or download anything from third parties), and last but not least, comes with the snake game and will probably work with any (GSM) carrier since it doesn't use LTE or 3G and an EDGE-capable or 1G quad-band phone isn't hard to find! Huh...never once had a malware issue with Android...keep on perpetuating the myth. Google's Android will never be secure, and there are probably other back doors built into the OS that will be exploited as well... Solution: Switch to Windows Phone. Open source is good. Loads of choices of apps, so guys do check your phone and follow above instructions.